As you plan for this big day, questions may arise. To assist you, we have compiled a list of the most frequently asked questions about Commencement. There are two Commencements: For the 2018-19 school year, Commencement is Saturday, Dec. 15 and May 11. The ceremony begins promptly at 10 a.m. and lasts approximately 2-1/2 hours. A full schedule of Commencement events, driving directions and listing of hotel/motel accommodations are available online. Commencement will be held at Henry Givens Administration Building in the Main Auditorium. How can I find out more information about the graduation clearance process? All summer and fall 2018 graduates are expected to attend one of the following Graduate Information Sessions which will be held in the William L. Clay Professional Development Room 204. Orders for caps and Gowns will be taken at each of the Graduate Information sessions on the dates listed above. From October 5- 25 students will need to contact Center for Career Engagement at 314-340-3512, or visit HGA 119 for regalia orders. Students may also email their name, height and weight to commencement@hssu.edu for regalia orders from October 5th – 25th. The last day to order regalia for the December 2018 commencement ceremony is Thursday, October 25, 2018. 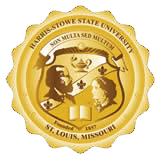 Regalia will be available for pick beginning Monday, December 3rd at the HSSU Bookstore. Announcements have to be paid at time of order and there will be a discounts on rings. Tickets will be distributed to participating planned graduates in the Office of the Registrar. Each participating graduate will receive 7 (seven) tickets. Guests and/or Graduates with Special Needs? For guests and/or graduates who will be attending commencement who have accommodation needs (e.g., wheelchair/ADA, hearing impaired or interpreter/translation requests, etc. ), please complete and submit a REQUEST FORM by no later than Thursday, December 6. Persons needing accessible seating, including wheelchair accommodations, will be seated at ground level. One family member may accompany the person with special needs. Guests who need accessible seating should be at the location at least 30 minutes before the ceremony begins. Special tickets or advance notice is not needed. However, inform an usher upon arrival. Each graduate will be photographed as diploma covers are presented and at a posed location at the side of the stage. After graduation, graduate photos will be posted on the university Facebook account and students can download for free. Guests who cannot attend the event can watch the ceremonies live.